Britains New Releases In Stock Now! 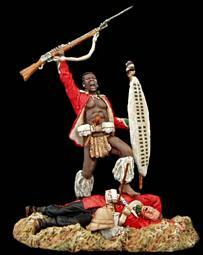 Britain’s, Collectors Showcase and Frontline Zulu Figures, so they will work well together. Britain’s and Frontline are compatible. February Releases – In Stock Now! 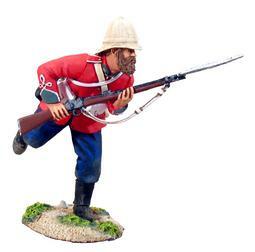 ZULU-019 — Steady Lad, Steady! ZULU-003 — Ammunition! Where Is The Ammunition? ZULU-007 — To The South Wall! Here is the latest WWII sets, one of the best that they have ever released. 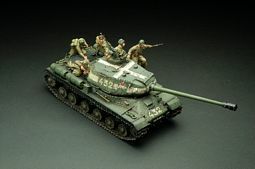 To pair this set they are releasing a German Mine Detector group. 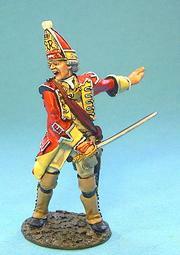 Probably the most requested figure by collectors of the Monongahela series is an officer to command the Grenadiers. Extract taken from “The Orderly Books Of Major General Edward Braddock” The basic unit of organization in the British regiment was the company. The normal strength of this company would be 40-60 men plus the officers. Typical organization would be:1 Captain, 1 Lieutenant, 1 Ensign, 2 Sergeants, 3 Corporals, 1-4 Musicians (drummers, fifers or pipers) and 30-60 privates. Special Club Sets can only be pre-ordered by Club Members only. Not a Club Member Join Now! 3st, 2010. After this period this set will no longer be available. Woodland Indians captives’ were confronted with several fates. Women and children who were a burden, and enemy warriors perceived to be a threat were, usually scalped and killed immediately. In general, however, prisoners were bound and led back to their captors’ home village. The taking of captives satisfied demographic needs by providing a source of replacements for a tribe’s deceased members. It also fulfilled a spiritual and psychological function by easing grief, by providing a means for coping with death, and by restoring to the community the spiritual strength believed lost through the death of a clan member. The tribal council would normally assign each prisoner to a family that had lost relatives. In general, women, children, and skilled men were adopted into families. These captives were given the name, title, and position of the person they replaced, and, over time, became integrated into their new family and became loyal to their new tribe. Their capture thus eased the pain of bereavement, maintained the size of family, clan, and tribe, and restored the spiritual strength that the community had lost through the death of a member. The two female captives depicted in this set could be sisters, from the family of a high ranking British officer? Creating some variety to the woodland Indian village, the Longhouse Extension pieces can be added to the existing buildings. These pieces can create interesting variations and add greater realism to the St. Francis village display. The Extensions fit easily to the ends of either Longhouses. Normally the sight of a Highland charge was expected to send the British redcoats streaming to the rear in panic-stricken flight. It was generally reported that at Culloden, Barrell’s Regiment at first bravely stood their ground, which may have been due to previous experience at Falkirk where they were one of the few Regiments to see off a Highland attack. The new bayonet drill was also to have played a key role. A Stand of colours is used to describe the 2 regimental infantry flags in the British Army. General Gordon arrived at Khartoum on February 18th, and spent his time between that date and the start of the siege of the city on March 12, in evacuating women and children. Two thousand of whom were sent safely through to Egypt, in addition to six hundred soldiers. It was stated by Sir Evelyn Baring (English consul-general to Egypt) that there were fifteen thousand persons in Khartoum who ought to be brought back to Egypt. 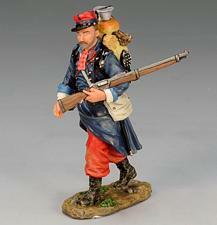 These included Europeans, civil servants, widows and orphans, and a garrison of one thousand men. On January 26, Faraz Pasha a Lieutenant in the Egyptian army, opened the gates of the city to the enemy, and one of the most famous sieges in the world’s history came to a close. It had lasted from March 12 to January 26 – exactly three hundred and twenty days. Two days later the English army of relief reached Khartoum. This month sees the release of the fourth and final set in the Gordon at Khartoum vignette, which is based on the painting by George William Joy. Just announced for release during March 2010. WWII – Cossacks – Russian Cossack cavalry have the distinction of having fought both for and against Stalin’s Red Army. Scenic – Latest additions to the “Desert Village” including a village house and wall.